Mr. Friedman is principal of George H. Friedman Consulting, LLC, providing expert advice on arbitration and mediation in general and the FINRA dispute resolution forum in particular. He is former Executive VP - Dispute Resolution of the Financial Industry Regulatory Authority, a position he held through early 2013. In this capacity, he was in overall charge of FINRA's dispute resolution program, carried out by 4 regional offices and 72 hearing locations in the US and abroad, 200 employees, and an annual budget of $50 million. He also served as Secretary of the Securities Industry Conference on Arbitration. Mr. Friedman is a member of the American Arbitration Association's national Roster of Neutrals. Mr. Friedman is an Adjunct Professor of Law at Fordham Law School, where he has taught a course on alternative dispute resolution since 1996. He is Chairman of the Board of Directors of Arbitration Resolution Services, Inc. of Coral Springs, FL. In his extensive dispute resolution career, he previously held a variety of positions of responsibility at the American Arbitration Association, most recently as Senior VP from 1994 to 1998. He joined NASD in 1998 as Senior VP of NASD's Dispute Resolution Div., and was named Executive VP in 2002. Mr. Friedman received a B.A. in Political Science from Queens College, and a J.D. from Rutgers Law School - Newark, where he was an editor of the Law Review. He is admitted to the NY and NJ bars and the US Supreme Court, and is a Certified Regulatory and Compliance Professional. Mr. Friedman is a member of several bar associations. He is past chair of the ADR Committee of the NY County Lawyers Assn. 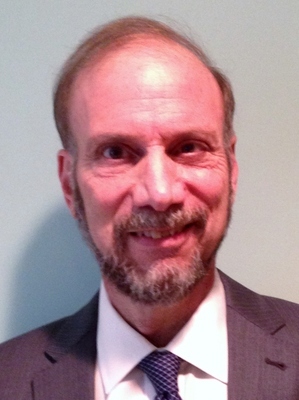 He is a member of the Banking Advisory Committee of Bergen (NJ) Community College.